Why should you invest in IBM Cognos Training? Since several years, ExistBI has been working in the world of business technology to provide the required skill needed to take businesses to the next level. ExistBI has a range of services which you can choose from to achieve this, varying from training to consultation. Working with numerous well-known companies and getting the correct qualifications has resulted in the trainers at ExistBI accumulating an immense amount of experience, all of which can benefit your business, if you decide to invest in our services. Amongst others, we have perfected our IBM Cognos Training, ensuring that after attending our sessions, your employees will have a firm grasp over the software. Though business technology has evolved significantly, companies are still hesitating before adopting tools such as IBM Cognos and this may be due to limited knowledge, so let us discuss the functions of Cognos and why you should invest in it. IBM Cognos is a software mainly designed to extract data and make reports on that data, based on which the business receives significant information on their current situation, their progress and which areas they can improve in. Using this information, a company can then decide which alterations must be made and work accordingly. Through IBM Cognos Connection, you can easily access all the relevant data from a single point. This means that all the data which is present within the system can be made available through one portal, making the management much easier. Furthermore, Cognos Administration can be used to overlook all the activities that are currently taking place. Other aspects such as settings and security can also be managed through this component. Today, one of the main uses of business technology is to make decisions based on the trends which are seen in the data and having a comprehensive tool which allows your company to do this is essential. With IBM Cognos Business Insight, you can create dashboards which are interactive and can be used by more than one person to make decisions together. Adding changes to content or sharing it are also quite straightforward through Cognos. Business Insight Advanced is also available for a similar purpose but offers more options. 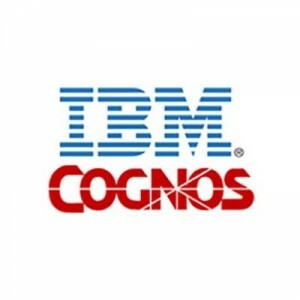 Another reason why people choose IBM Cognos is the detailed analysis which can be achieved through this software. Picking out trends, comparing data, evaluating performance and sharing data are all possible through Cognos Analysis Studio.